The Stand Against Racism is a signature campaign of YWCA USA, designed to build community among those who work for racial justice and to raise awareness about the negative impact of institutional and structural racism in our communities. This campaign is one part of our larger national strategy to fulfill our mission of eliminating racism. Stand Against Racism was founded by YWCA Trenton and YWCA Princeton in 2007. 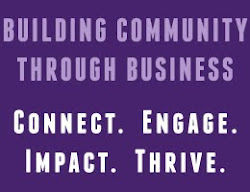 In years past, this event has attracted over 2,200 partnering organizations including 130 in Asheville that became participating sites by hosting local Stand events. Over 300,000 individuals nationwide took a stand against racism by attending events at one of the participating sites. Many Stand Against Racism events are already scheduled to take place through-out Buncombe County – they may be viewed at www.ywcastand.org. MAHEC's Health Equity Team will host an event as part of their Lunch-n-Learn Cultural Awareness Series in conjunction with the Stand Against Racism at the MAHEC Mary C. Nesbitt Biltmore Campus Education Building. This event is free, but pre-registration is required. The topic of the event will be Micro-Aggressions: How to Identify and Correct. The objectives of the event will be to define the concept of micro-aggressions, identify forms of micro-aggressions, and utilize strategies to decrease micro-aggressions. Lisa Eby, MS, MSW, SPHR, Director of Human Resources and Communication Buncombe County Health Human Services, and Michele Ashley, Transformation will be the speakers. We will donate 10% of sales for that day to the YWCA and distribute Stand Against Racism Buttons to customers. Showing power point "North Carolina's Minority Credit Union Movement", followed by discussion. Bring brown bag lunch. Cookies and tea provided. We will donate 10% of sales at both The Hop Ice Cream and The Hop West to the YWCA of Asheville on Thursday 4/23/15. Mountain Housing Opportunities will hang a banner on the corner of Clingman and Hilliard Avenue. The banner will read: "We build community. We stand against racism." We'll keep the banner up for a week. The Asheville JCC is having their stand against racism in partnership with Jewish communities throughout WNC. Their stand will feature music, arts, and a brief presentation. Asheville Writers in the Schools will take a Stand Against Racism in conjunction with our annual youth spoken word poetry competition, Asheville Wordslam. “Rootwork: A Path to Liberation” A two-part workshop on racial healing with Vanessa Jackson, author, speaker, licensed Clinical Social Worker and Therapist, “Black Lives Matter” Facilitator. Event will be held at All Souls Episcopal Church, Asheville, Registration at the door. We are planning a community potluck picnic, with music and speakers on the town square. In conjunction with the YWCA Stand Against Racism, Spellbound Children's Bookshop will create an in-store display of books featuring characters of diverse races and ethnicities. On April 25th at 11:00 a.m. Saturday morning story time (for ages 3-7 years) will focus on diversity and there will be giveaways of Stand Against Racism buttons and stickers. We will precede the Sunday service with two Dialogues on Race, held in the weeks leading up to the Stand Against Racism. We will have a prominent display in the store of the new children's book Zak and Niki: A first look at rising above racism, by author Cynthia Yancey and illustrator Twila Jefferson. We will sell the book at a discount with tax paid by our publishing company. The cost with tax included is $12 (a $4 savings) in honor of Stand Against Racism. “Stand Selfie” Campaign on Facebook. Participants are encouraged to take a photo of themselves in a Stand Against Racism t-shirt (available at the YWCA) or button and send it to stand@ywcaofavl.org. All photos are shared on the YW’s Facebook page. Additional participating sites currently include: A-B Tech Community College, Asheville-Buncombe Community Relations Council, Asheville Grown Local Business Alliance, Asheville Touch Therapy, A.C. Reynolds Middle School, Biltmore Oil Company/ Eblen Short Stop Stores, Building Bridges, Council on Aging of Buncombe County, David Gantt Law Office, French Broad Food Co-Op, Hip Replacements Clothing, Leadership Asheville, Literacy Council of Buncombe County, and Mountain Bizworks. Local Stand Against Racism events are constantly getting added and updated! Visit www.ywcastand.org for the most current list of events. The culminating celebration of the Stand Against Racism is the YWCA’s annual Black & White Gala, which will take place on May 7 at the Crest Center & Pavilion. More information and tickets are available on our website at www.ywcaofasheville.org/gala. The YWCA of Asheville invites local organizations, corporations, churches, houses of worship, government agencies and individuals in Buncombe County to take a stand by participating as a site or individual in the 2015 Stand Against Racism. Any group of any size that believes in a society free of racism is invited to join us. As a participating site, the host will hold their own private or public Stand Against Racism event at a location of their choosing. Participation in the Stand Against Racism is free, and becoming a participating site is very simple. Each organization’s “Stand” will differ – from gatherings and discussions at work to larger scale stands like rallies and marches. Many examples of ways to get involved – from having an internal conversation, to hosting a rally, to participating in social media actions – are listed on our website. Strength comes from numbers. To become a participating site: learn more and register at www.ywcastand.org. For questions about participating in the Stand Against Racism contact Gerry Leonard at Gerry.Leonard@ywcaofasheville.org or at 828-254-7206 x. 219.